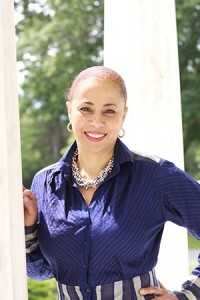 Ms. Nicholson is the President and co-founder of ICD Corporation. She performs consulting in the areas of commercial bank marketing and product development, commercial and central bank operations, payments and accounting. Examples of her work include the development of the Core Banking technical specifications for the Central Bank of Rwanda, development of the product development strategy for the Bank for Investment and Development of Viet Nam (BIDV), support in the assessment of payment systems at Bangladesh Bank and assistance in the development of the Retail Payments Strategy for the Central Bank of Egypt. Ms. Nicholson has extensive experience in Commercial Bank and Central Bank operations including core banking and ERP systems as both a banker and consultant. This includes specific expertise in business process analysis, business continuity planning and the development of functional requirements and technical specifications for Core Banking and ERP systems. She has also performed work in the development of procurement criteria and procurement facilitation as well as system implementation including the training of Users. Her experience spans 26 years in banking management, retail banking and bank operations, private banking, product and brand management, payments, central bank consulting and advisory, private banking, small and medium enterprise “SME” and financial services for both the corporate and government banking sectors. Prior to ICD Corporation, Ms. Nicholson was a career banker holding a variety of management positions including; Commercial Director for the Santander region for Banco Agrario De Colombia S.A. Santander region which covered 80 branches; Banco Caja Social, a leading Colombian financial institution focused on individuals, microfinance institutions and small and medium enterprises (SME’s) where she managed the primary branch for the Santander region; and Interbanco, a private commercial bank in Colombia that offered products for retail banking, private banking, SME’s and provision of banking services for both the corporate and public sector. Ms. Nicholson specializes in marketing, product and business development including definition of product management strategies and market and product segmentation strategies. Additional areas of specialization include; retail banking and multichannel strategy, project management, strategic planning, loan analysis, loan syndication and restructuring in the individual, corporate, retail, SME and public sectors. She has performed and/or participated in such work in Colombia, Thailand, Vietnam, Bangladesh, Nigeria, Egypt, Mongolia and Rwanda. Ms. Nicholson is a highly skilled business executive who is also proficient in both Spanish and English.